It’s about time I updated you guys on my new favorite high-end foundations! I’ve been trying a bunch of different ones lately and have found three that are definitely worth the hype. 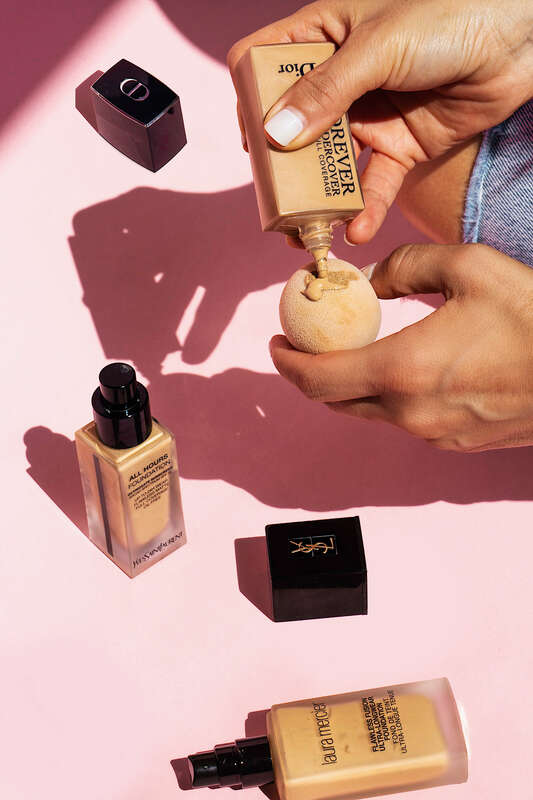 So if you’re in the market for a new foundation that’ll give you great coverage without looking cake-y and unnatural, keep on reading for my three favorites! Formula: lightweight and comfortable. I love this one for everyday! My Shade: 3W1 Dusk. This foundation has a great selection for olive skin tones! Formula: long-lasting, but still comfortable. It has a thicker consistency than the Laura Mercier Flawless Fusion. My Shade: BD45 Warm Bisque. Formula: Lightweight, water-based that stays put all day. Coverage: very full coverage. A little goes a long way. I use this one when I have breakouts or when I need my makeup to last all night. PS. if you’re looking for a more affordable foundation, be sure to check out my blogpost featuring my five favorite drugstore foundations! 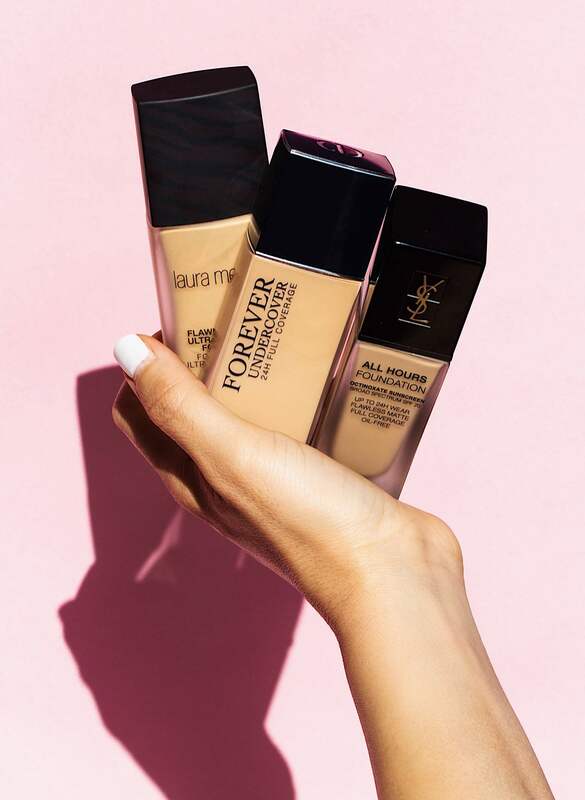 Have you guys tried any of these foundations? If not, let me know your favorite full-coverage foundation in the comments below! Need to expand my foundation. I actually never used to wear any. Until 2 years ago. I know right ? Love your helpful hints and posts. Kisses ? Beautiful things featured … love ♥️it! ???? i wish i could afford these :( luminous silk is my fav. high end foundation that is definitely more medium coverage! i usually stick to more light to medium coverage lately have been obsessed with the Estee Lauder doublewear light water foundation it just finishes very skinlike! Hi, pretty. 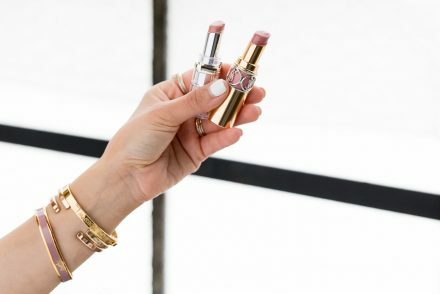 The Estee Lauder Double Wear is amazing! If you’re looking for some cheaper options, one of my favorite drugstore foundations for light to medium coverage is the L’Oreal True Match Blendable Makeup Foundation. I actually have never used a high-end foundation before. 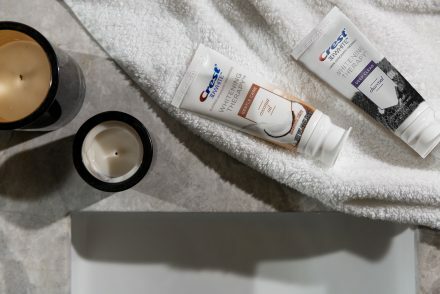 I usually wear a CC or BB cream, I just turned 40 and I have super oily skin so I have been scared to spend the money on something super nice. I appreciate this review it is very helpful in figuring how what to invest in. Thank you for the recommendations!! In serious need of new foundation! I’m glad you loved these recs babe! Definitely some of my favs. If you end up trying any of these, let me know what you think. I was leaning more towards the YSL foundation but the minute you said that the laura merceir was the more medium to full coverage and they have great olive skin tones I was sold. Thank you for the great recommendations! I wish i could afford at least 1 of these foundations ?? love a full coverage matte foundation. Thanks for the tips. Would definitely consider these when I buy a foundation for a special occasion ????? Always love ur recommendations Sona! Really cant wait until I can afford these foundations and try them ?? Forever Undercover is my all time favorite, the coverage is amazing and you barely need anything and it stays put! I had trouble finding a color to match me for the summer tho :(. I love discovering new great foundations ! Oh wow, your post came in at the right time. I’ve been trying to finish up all my other foundations and I’m so ready to splurge on a new one from Sephora with the upcoming 20% event coming soon. This post definitely helps. Thanks! I’ve tried so many over the years but right now and for last 2 years I love Younique’s liquid foundation. It’s the first one that doesn’t cause more breakouts and their primer, etting powder and setting spray also are amazing! 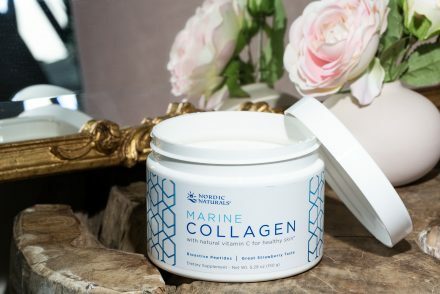 My skin has never been in better shape and I was prone to breakouts and have oily skin even at 44 years old. This is a great review, especially with all the options out there. I cannot agree more, these are truly worth the hype. I am willing to spend money with products such all of this especially DIOR. Seems to be worth it. Great Tips! Can’t wait to try powdering with a damp beauty blender.